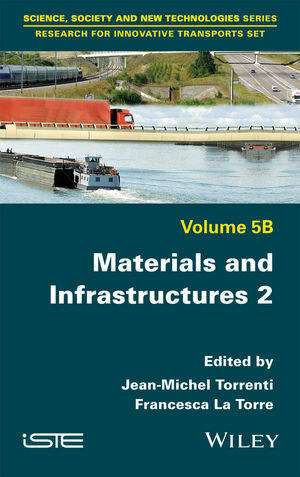 This volume presents the second half of a diverse collection of chapters in the field of materials and infrastructures in transport systems, which illustrate the technological and methodological innovations required to rise to the challenge of building more sustainable transport infrastructures for the future. The authors explore the potential of these sustainable solutions to improve the performance and efficiency of materials and infrastructures, with a reduced environmental impact and lower cost. Theoretical and practical case studies address a variety of topics including circular economy and sustainability, the impacts of climate change, durability, lifecycle, auscultation and the monitoring of infrastructures. This book provides transport researchers and professionals with a better understanding of the current and future trends in these innovative fields, enabling them to put into practice new technologies and methods of design and management, so that new solutions can become current practices to truly improve modern transport systems. Jean-Michel Torrenti is the R&D director of the Materials and Structures Department of IFSTTAR, and a Professor at Ecole Nationale des Ponts et Chaussées. His research concerns the mechanics of concrete and its coupling with durability aspects, and has been applied to modeling the behavior of structures such as bridges, nuclear power plants and nuclear waste storage. He is the co-author of several books concerning concrete and concrete structures. Francesca La Torre is Professor of roads, railways and airports at the University of Florence in Italy. She has been working in the field of transportation infrastructures for over 20 years, and is a member of the EC Horizon 2020 advisory group for "Smart, Green and Integrated Transport" and the infrastructures representative for academia in ERTRAC.